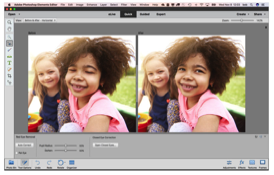 Adobe has built the most comprehensive and powerful photo editing program available, but (sadly) Photoshop is just not intuitively approachable. Most folks find Photoshop to be confusing and difficult to figure out. I can fix that! Photoshop 101 is a series of three two-hour sessions in my private classroom, where each student has a dedicated computer and works with me, step by step, on getting into the world of Photoshop and its amazing capabilities. Anyone Can Learn in This Course. No level of experience with Photoshop is needed for this course, and it is ideal for students who are just getting started in photo editing. The goal of the course is for each student to get comfortable with the critical tools in Photoshop, to learn the key steps in taking digital images from the camera to the printer, and to develop skills that can be repeated confidently with many different images. 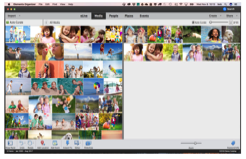 We work with Adobe's Photoshop Elements program, which has all the tools and capabilities you'll need to go far in correcting, enhancing, and printing amazing images. 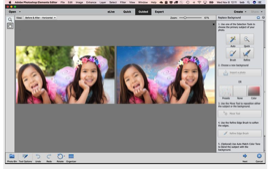 At the end of the three sessions, you’ll understand Photoshop Element's power (and foibles) and be confident in using the program to successfully edit your pictures. You Get Real Value In This Class. The price of education is going up everywhere. But my price for this six-hour, three-class series has only gone up once since 2015. You get all the skills and personal development for $225.00 for the three sessions. At the end of the sessions, if you don't think I have improved your confidence, skills, and editing technique, I'll refund your tuition. Simple as that! The Course Is Limited In Size. I won't teach in large groups, and this course is the smallest I do: four students max. The downside to that limit is that not everyone who wants to take my classes gets in - registration is strictly first-come, first- taught! I hate to turn away prospective students, but I won't sacrifice quality instruction. Don't Put It Off - When A Series Is Full, That's It! If you know you are ready to take control of Photoshop, then tell me you want to register for my next class by clicking here and sending me an email. I'll send you info on registering for the next session, so you can reserve your place in that class. Don't let another student take your spot!